So, today was a long driving day of eight hours. It turned out to be a much easier drive than we were anticipating. We just turned onto the road and hey ho off we went. It was more or less, one long continuous road. Some of the scenery was stunning, some boring! As we spent most of today sitting in the car, we are rather short on action and photos, but here are a few we did take during the drive. This is the Hoback River. also called the Fall River. 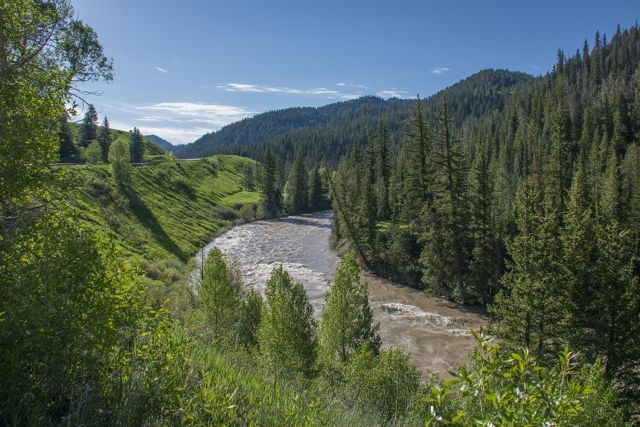 It is an approximately 55-mile (89 km)-long tributary of the Snake River. 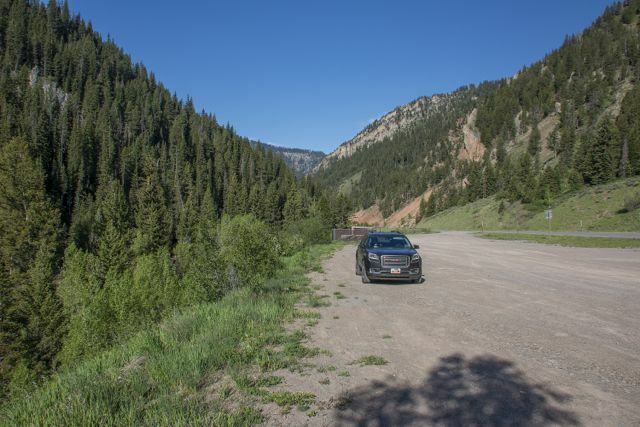 It rises in the southern Rocky Mountains of Wyoming and flows northeast through the Teton National Forest, before turning northwest to join the Snake just downstream of Jackson Hole, near the head of the Snake River Canyon near the town of Hoback. You sure can see some strange things when out on the road and this was just one of them! 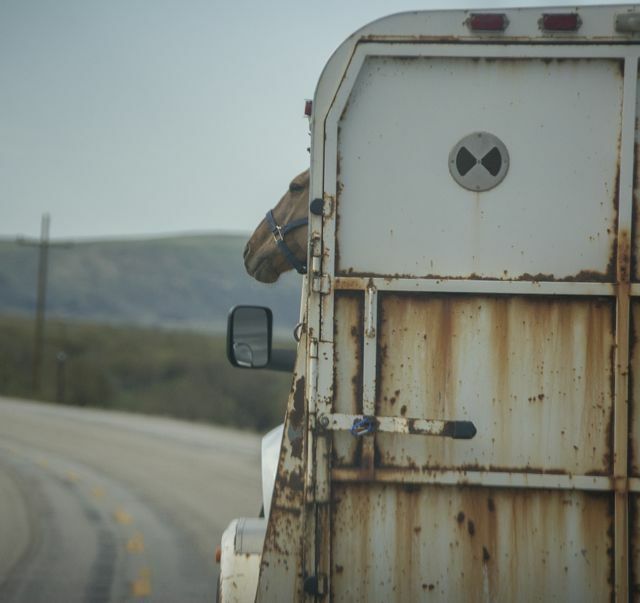 A horse with his head out of the trailer window taking in the scenery. Well, the things you see on the road! I expect you would like to know what we do to pass the time on a long trip like today. Well, today we plugged Simon’s phone into the car USB and exercised our vocal cords by singing along to many of the songs he has on there, especially Holiday Road by Lindsay Buckingham of Feetwood Mac fame. It was used as the theme song for the film ‘National Lampoon’s Vacation’. (I don’t own the rights or anything to the video). As we are short on action, here’s a little history lesson! I’m sure some you will have heard of the Oregon Trail. 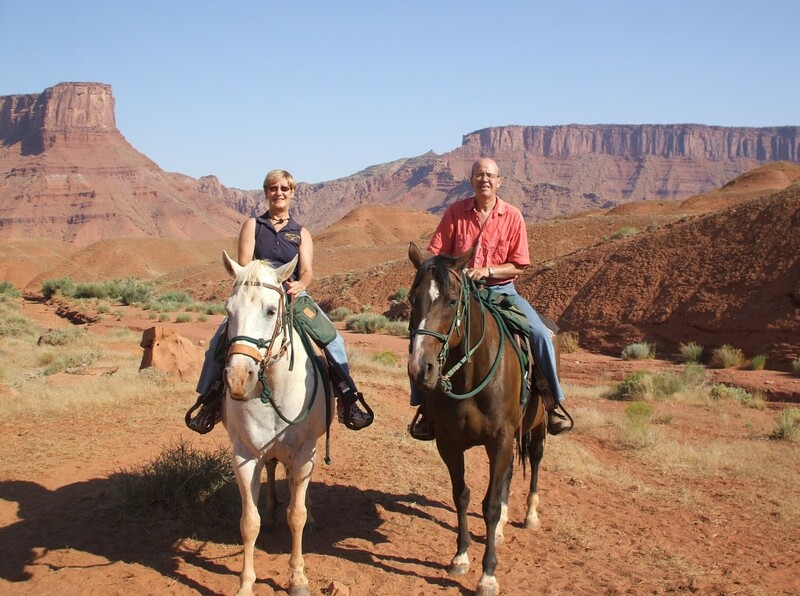 It is a 2,200-mile (3,500 km) historic east-west large wheeled wagon route and emigrant trail that connected the Missouri River to valleys in Oregon. 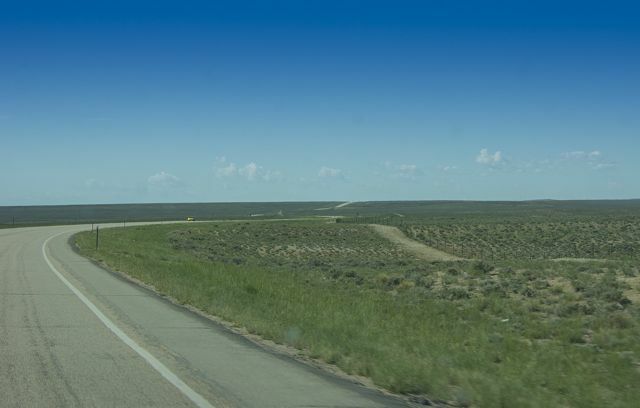 The eastern part of the Oregon Trail spanned part of the future state of Kansas and nearly all of what are now the states of Nebraska and Wyoming. The western half of the trail spanned most of the future states of Idaho and Oregon. The Oregon Trail was laid by fur trappers and traders from about 1811 to 1840 and was only passable on foot or by horseback. This is part of that trail. 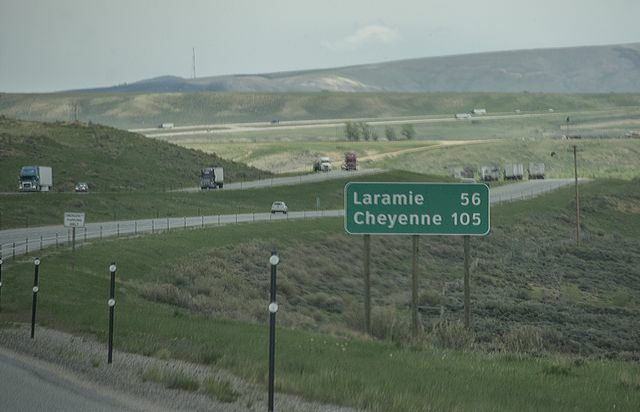 I wonder how many of our older followers remember the television cowboy series, Laramie? Well, we drove through it today. Didn’t see any cowboys though! We are staying at The Maxwell Inn in Estes Park, on the edge of the Rocky Mountain National Park and it’s lovely. A young couple took it over last year and have been upgrading and renovating. They are now rated number one on Trip Advisor out of 29 hotels in Estes Park. They have done a great job, it’s lovely. As we hadn’t eaten anything all day we went for dinner to a steakhouse and the steaks were great but even though we were hungry we couldn’t finish them. Simon’s was the size of a house ………….. I should have taken a photo. He could only eat half of it! 1. If we drove for eight hours in the UK we would drive off the edge of Scotland! 2. Just about every American we speak to say they would love to come to England. 3. It seems as though just about every American lady watches Downton Abbey and would love to visit the house. They are really impressed when we we tell them we live about thirty minutes from there. 4. What a shame that blogging wasn’t around in 1988 when we first started visiting the U.S. as we would have had a really big blog by now and a wonderful record of all our visits. Tomorrow we visit the Rocky Mountain National Park for the first time. Join us then for what we hope will be some stunning photos.